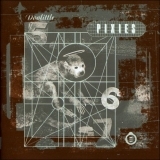 Doolittle is ranked as the best album by Pixies. Members who like this album also like: Nevermind by Nirvana, The Queen Is Dead by The Smiths and Surfer Rosa by Pixies. Related links: top tracks by Pixiestop tracks of the 1980s, top tracks of 1989. Showing latest 5 ratings for this album. | Show all 2,377 ratings for this album. This album blew my mind the first time I heard it. I can definitely see why so many bands were influenced by the Pixies. They're blend of noise, alternative rock and melodic pop. Very catchy, yet very aggressive. Perfection. One of those albums where its significance is more from hindsight, then at the time, Francis and co wrote the signpost in the direction for 90s alternative and grunge. If its good for Neptune's daughter its good enough for everyone. An album with out of tune guitars, noises and other nonsense, there are at least hundreds of albums much superior in the 80's, only in the small and closed world of this site this album figures in the first position.It's insane in this album to appear in front of "Brothers in Arms", "Joshua Tree", "Back in Black" among hundreds of others infinitely better.From the late 80's forward noisy and uncreative guitars became meaning of art. Best Songs: "Debaser", "This Monkey Goes to Heaven", "Here Come Your Man"
Worst Songs: "Silver"; "There Goes My Gun"
Absolute Favorite: "Wave of Mutilation". Simply love it. Disturbing, brilliant, haunted, melodic, aggressive. A surreal crossing in the head of Black Francis. The best album of the 80s. Pixies is one of my favorite bands, this band has inspired many other great bands such as Nirvana, Daughters and even Hip-Hop crew like De La Soul. Their best album is by far "Doolittle", all by itself this album is a best-of of the band. The fifteen titles are masterpieces. For me, it remains the best album of alternative rock and noise rock. This album has not aged, it is always great between violence and cool attitude, beetween "Debaser" and "Gouge Away", Pixies have managed to create a timeless classic. Frank Black is one of the greatest genius of rock ... "Doolittle" is the perfect rock album, a classics composed only of hits that will never be forgotten. I give a +5 for this album for the extreme Importance that It had in it's time. This album is for america what The Stone Roses was for britain: New. It inspired so much, and so much came from It afterwards, you can blame the existence and popular sucess of several bands beacause of Pixies and their groundbreaking sound, Nirvana, Smashing Pumpkins, Pavement, just to name a few. Having that said, I personally prefer those bands that I mentioned (especially Pumpkins and Nirvana) over Pixies in any form, but I don't deny the Importance of this album and this band in general, and some of their songs like "Debaser", "Here Comes Your Man" and "Where is My Mind?" are absolute bangers. The peak of Indie rock. This and Slanted & Enchanted are the definitions of imperfect perfectness. The Pixies Greatest hits compilation.